It is called many things in many classrooms from the Math Center, the Fine Motor Center, The Manipulatives Center, The Table Toy Center and many other names! The names encompass it all! One can manipulate items to count, puzzles to make and crayons to draw with. So, we leave the name unchanged! 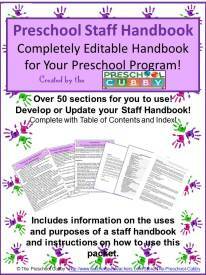 What is a Fine Motor Activities Interest Center? 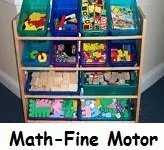 In most classrooms, a Fine Motor Activities Center combines manipulatives, table toys and math activities. The purpose of manipulatives will depend on the goal of the activity. And, regardless of the goal of a manipulative, game or activity your preschoolers will be developing their fine motor development and fine motor control. They will do this whether they use a board game that requires counting, a file folder game that focuses on matching or a bowl full of dinosaurs to sort. What do children learn when playing at the Fine Motor Activities Center? The children learn many things while developing their small muscles when participating in fine motor activities at this interest center. They can manipulate items to count, puzzles to make and crayons to draw with. Math knowledge and skills (counting, sorting, classifying, patterns and more!). 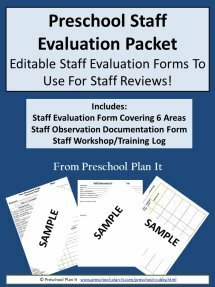 How should the teacher prepare for the Fine Motor Activities Center? Teachers can best prepare for this area by considering where the students are in their fine motor development so that the activities are challenging but not frustrating. When adding an item to this center, have the materials available for the children to simply explore the materials. For example, if you add lacing beads to the center, provide the beads and string and pattern cards (if you have them) in a bin. Just have them available. There is no need to "instruct" the children. They will explore, sort, count and investigate the items. Your children will figure out how to lace, how to lace a pattern, how to recreate a pattern. You do not need to formally instruct them! They are preschoolers--they learn through exploration! Questions such as "I wonder if we can lace the beads in the same pattern as that picture?" is the perfect instruction! Introduce board games in the same way. For example, if you provide the game Hi Ho Cherry-O, simply put the game out. Let the children explore the pieces, manipulate them and investigate. There is no need to sit them down and instruct them (i.e. "This is how we play this game."). There is so much learned through this investigation: How to "flick" a spinner, pick up the tiny cherries, identify the colors of the cherry buckets, etc. Should you ever show them "how to play"? Sure! When they are past the exploration stage! You might then introduce taking turns spinning the spinner and counting cherries into the cherry bins! Provide a large assortment of puzzles from 4 piece puzzles to 20 piece puzzles. Floor puzzles are also great to have available. Most of them can be completed on the table as well as on the floor! 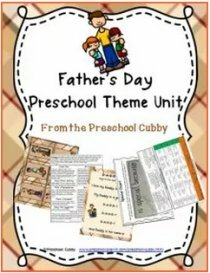 These puzzles can be themed as well as focused on basic concepts that you are working on (such as the alphabet, the numbers, colors, shapes). 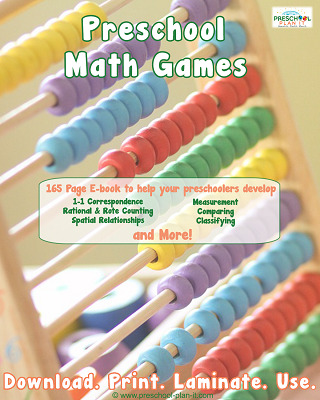 Chutes and Ladders, Candy Land, Hi Ho Cherry O and other board games not only require the use of fine motor skills, but also encourage one-to-one correspondence, counting, and taking turns! With these, I am referring to items such as Teddy Bear sorters/counters that typically come with a balance scale. The sorters/counters can be sorted by small, medium and large as well as by color. Farm animals can also be sorted this way as well as by type (cows, pigs, etc.). Also consider using other items of interest for sorting and counting such as colored pom poms of different sizes; pony beads, marbles, etc. "What I do is collect the colorful caps that come off those yogurt and fruit pouches and use them for math, sorting colors or adding a scale (weight) or the I add plates, bowls and the kids pretend that it's soup or even for art projects. The entire school now collects them for me." Here are some ideas submitted by Kim B! 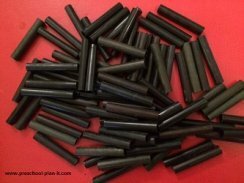 One of the best loose parts (favored by the kiddos) is a collection of detergent caps. You know, the measuring cup/cap on liquid fabric detergent and fabric softener? Yeah, I always ask parents to bring them in, so we have multiple sizes and colors. They are great for stacking, measuring, dramatic play (coffee cups, candy dishes, and soup bowls), sorted by color, by size, tracing and stamping in art or as a cookie cutter in playdough. Also, a tip/re-purpose idea (my class LOVES this), for those dried out markers...place them in a cup with a small amount of water, it becomes a water color marker. The fine motor grip of a pencil with the outcome/texture/look of water paint; especially if you can afford watercolor paper at your school. They are great at the art table as well as the easel. Then once the tip turns white (there is really no color left), we use some as a 'paint brush' with regular or water downed tempera paint and others, I cut the tip off, even with the marker and use the marker 'body' as a loose part. 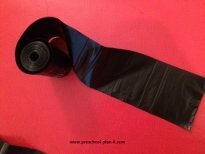 I can never seem to keep playdough rollers and this is a great and cheap alternative. I have literally HUNDREDS of these! In the dramatic play area as drumsticks for the little people toys in the dollhouse. With playdough! One child used them as "quills" for their playdough porcupine and another used them as arms and legs for a playdough robot. And those ideas were not suggested by any adult in the room. We simply placed the them in a bin at the math/manipulatives area and the children used them in their own ways. So........have you figured out what they are yet? I'll give you some time to guess and will tell you later in this article!! You most likely already have a block interest center in your classroom but don’t overlook this smaller version! Small wooden blocks of different colors are very popular in our classroom! Houses and entire cities have been built at the table by our preschool architects! While creating their own cities they are also learning to sort and build by shape and color, develop their fine motor skills to place each block and developing their language, social and problem solving skills by working with one or two other friends to build their city! Provide lacing cards all the time! You can purchase or make them to go along with a theme or concept you are working on! These types of cards take on a life of their own! During a Fairy Tale theme, make a wolf and three pig lacing cards. Your preschoolers will not only lace them but then use them as masks to act out the story! 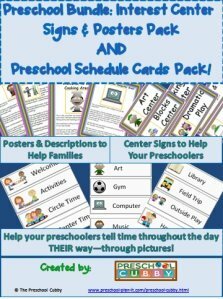 Do you wish you had activities like File Folder Games and Activity Mats at your fingertips to pull out and place in your Math Center but don't have the time to create them? One of our favorite developers of fine motor skills! Provide playdough and cookie cutters for some muscle development! Here is my FAVORITE recipe for playdough! In one bowl, mix in 2 cups hot water, 1 package of koolaid and 2 tablespoons of vegetable oil. In another bowl, mix together 2 cups of white flour and one cup of salt. Pour the wet ingredients into the dry and stir until well blended. From there, continue to add flour until it is at the consistency that you want (it usually takes about 3-3 1/2 cups of flour total). We usually make this WITH the children! They love making playdough! And, it is another GREAT activity to help develop those small muscles! With this game, the frog’s head rotates and its mouth opens and closes while the children try to flip flies into its mouth! This is another popular game. It is fishing game that uses magnetic fishing poles. 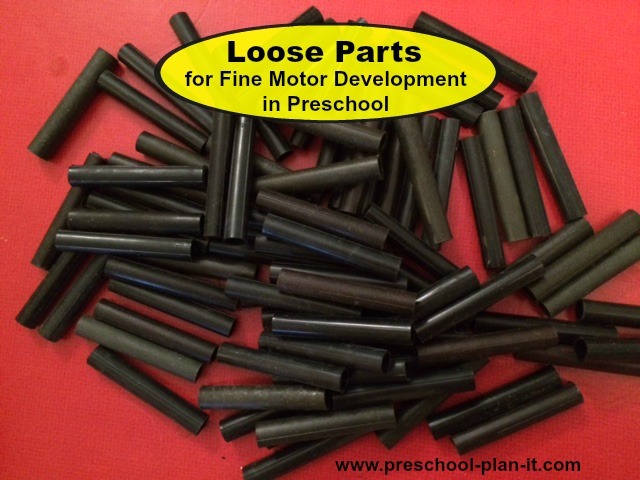 Loose Parts: Inspiring Play in Young Children is an amazing book! The authors describe ways to use loose parts in ways that involve the children's senses, creativity and even movement, and the photos are beautiful! This book is like a mini growth and development course combined with oodles of ideas for finding and using loose parts! I think every classroom should have one! You can find one at the local library or click the picture to see what is available at Amazon. Did you guess what these loose parts are? They are the plastic middles from our Disposable Doggie "Poop" Bags ! We use an average of 3-4 bags from a roll each day and have had our dog for 5 years....that's HUNDREDS of these plastic loose parts that are used by preschoolers rather than thrown away! Loose parts are all around you! You just need to look! 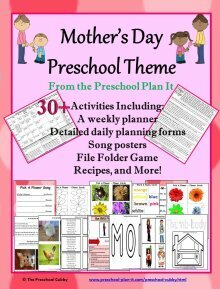 Find fine motor activities inside each of my themes on this Theme Page! 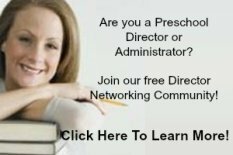 Learn about more Interest Learning Centers here!